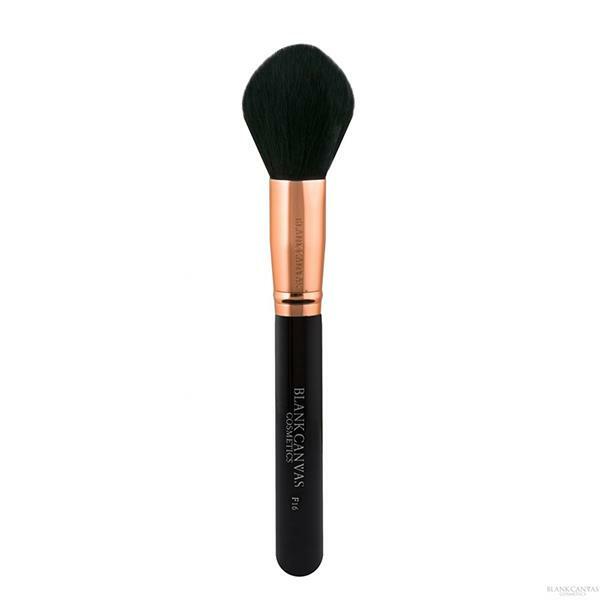 A large tapered contour or blush powder brush. Great for sculpting! This soft brush is made of natural hair. The F16 from Blank Canvas Cosmetics has a beautiful metallic rose gold and black handle.